“Development” is one of the most overused words in any language, often reflecting progress, aspiration and something that ought to happen. But is there consensus on what development really means? Thirty-eight members of Sustainable Futures in Africa (SFA) discussed this question during an eight-hour bus journey from Entebbe to Lira, Uganda in February 2019. We were in Uganda for the third annual symposium of SFA, an interdisciplinary network across the UK and Africa that aims to build understanding, research, and practice in socio-ecological sustainability in Africa. This word cloud was made from the keywords that emerged in our discussion. The word “development” originated in the 16th century from the Old French développer and/or desveloper, meaning “unroll”, “unfold”, “unveil”. It is no longer used in this sense, and it has acquired many definitions in modern usage. One of the earliest definitions was given in 1978 by the French economist François Perroux. He defined development as “the combination of mental and social changes among the population which decides to increase its real and global products, cumulatively and in a sustainable manner.” In A New Concept of Development (1983), Perroux argued that development “represents a dramatic growth of awareness, a promise, a matter of survival”, and he identified its root as personal development – “the freedom of persons fulfilling their potential in the context of the values to which they subscribe and which they experience in their actions”. His understanding of development places importance on the role of human/cultural values in progress, either economic or otherwise. The words “growth” and “development” have often been used interchangeably in economic discussion. Some might say that development is positive growth. Members of SFA mentioned “growth”, “growing”, “steady-growth”, “positive”, “positive action”, “positive change”, and “positive transformation” when they discussed the word “development”. A wider definition related to social, economic and political changes in society was put forth by scholars such as Todarro (1981) and Tayebwa (1992), who discussed development as a multi-dimensional process beyond economic development, economic welfare or material wellbeing that includes improvements in economic, social and political aspects of a whole society, such as its security, culture, social activities and political institutions. This people-centred approach to development has been promoted by many organizations, such as the Food and Agricultural Organization (FAO), where local people participate in their development process. SFA members seem to agree on the participatory and people-centred aspects of “development”. Such keywords emerged as “Community-specific”, “Collaboration”, “Community-owned”, “Teamwork”, “People-driven”, “People-managed”, “Capacity development”, “People-focused”, “Co-developed”, “Participatory”, “People-driven”, “Bottom-up”, “Working together”, “Stakeholder-driven”, “Homegrown” and “Community-driven”. Members felt that development should be “Culturally appropriate”. They also mentioned that “Cultural hegemony” – the dominance of one social group over another – must not be part of development. In the same vein, the words “Equality”, “Equity”, “Common good”, “Diversity” and “Inclusive” were mentioned, implying that development must be just and fair. As well, the politics of a country has profound implications on development and it is important to understand the political drivers behind development. This aspect was evoked by some members who mentioned “Good governance”, “Political will”, “Ownership” and “Government-owned”. Tackling inequity is a development goal on its own and it may well start with poverty reduction, the focus of most development agencies. Members mentioned “Wellbeing”, “Improve life”, “Needs-based”, “Basic needs”, “Livelihoods enhancement”, “Better way of life”, “Quality of life”, “Improving lifestyles”, “Decent livelihood” and “Empowerment”. To achieve improvements in human well-being, the natural environment is key as it provides the necessary resources. We have realised that development which exploits the environment is wreaking havoc on the planet and we need to find a balance between growth and environmental sustainability. Development must take place alongside caring for the environment and in this light, “Environmentally sustainable”, “Balanced” and “Resource use” were mentioned by members. Innovation, learning and knowledge-sharing are key enablers of development. Members mentioned “Share knowledge”, “Innovation”, “Mindset change”, “Innovative practices” and “Capacity development”. But acquired knowledge and skills are not the only important things; the softer aspects also matter. In Amartya Sen’s highly acclaimed Development as Freedom (1999), he argues that human development is about the expansion of citizens’ capabilities. For Sen, freedom means increasing citizens’ opportunities and access to things they have reason to value. SFA members identified “Freedom”, “Aspired transformation”, “Transformation”, “Positive transformation”, “Self-Actualization”, “Satisfaction”, “Peace” and “Happiness” as aspects of development that they valued, all of which are worthwhile goals for development. The majority of the definitions of “development” have come from economists and politicians. 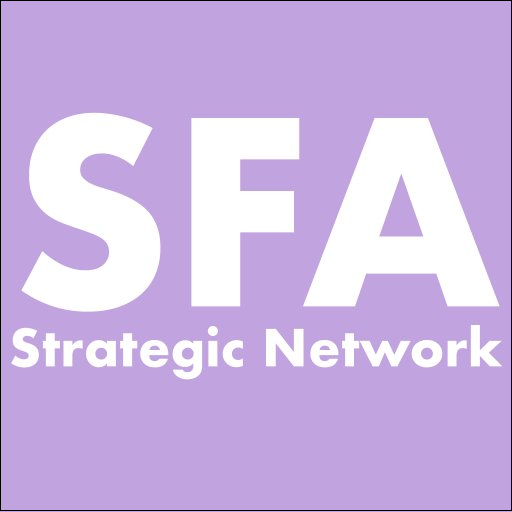 SFA is a multi-disciplinary network and believes that “development” is a multi-layered word and can mean different things in different contexts. Defining this word using a narrow economic lens or implying that increased consumption equals development has led the world to unsustainable exploitation that threatens the planet itself. There are numerous definitions of the word “development” and SFA does not aim to add another to the pile. However, we would like to stress that when we use this word, we do not presume that any worldview or culture is superior to another or that all countries should follow a set pattern or have common indicators of “development”. Instead, we like to think that development must be defined by communities themselves, and each country, each community and each person may define it differently. Ultimately, development has to lead to a better outcome for the globe, humans and the environment. It ought to reduce poverty, reduce inequities, be culturally appropriate and community specific, nurture nature, and be owned by and relevant to people and place. Let us rethink the word “development” in order to enhance the well-being, freedom, peace and happiness of each and every one of us and the planet as a whole. 1978, L’équilibrie des unités passives et l’équilibration générale des unités actives”, Economie Appliquee. Previous Post What does “Sustainability” mean?